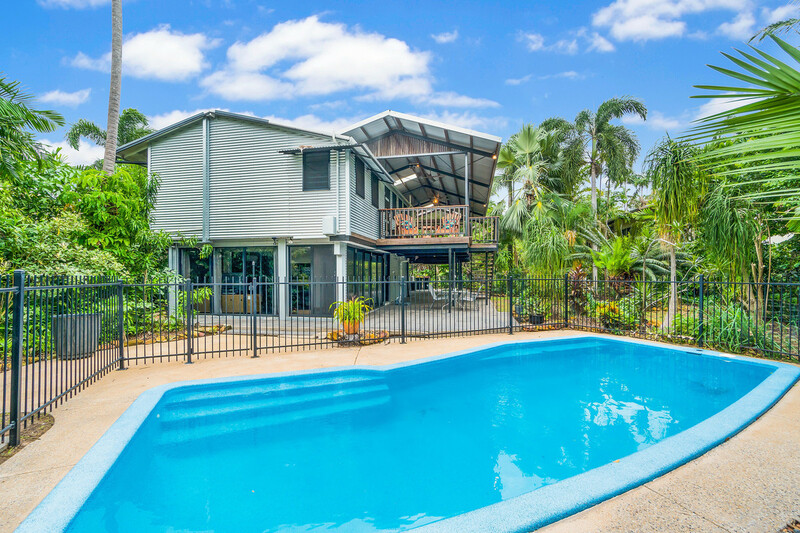 So good it will knock your thongs off ! 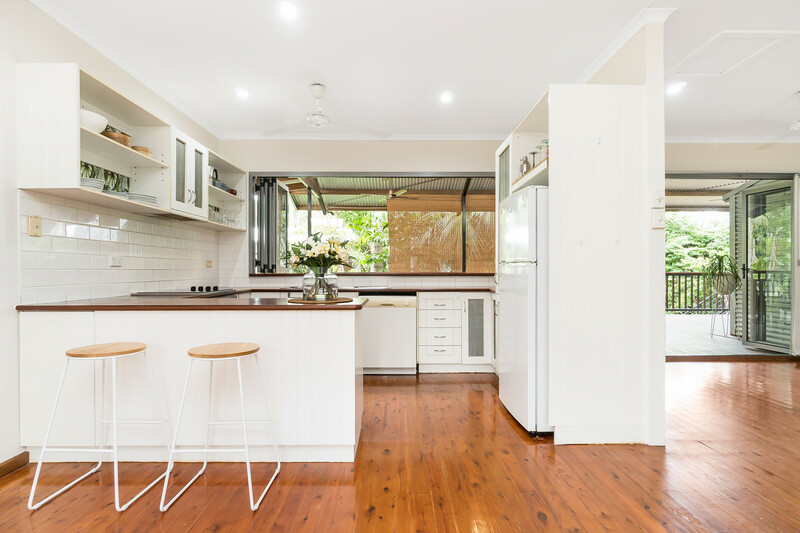 Text “13BUL” to 0488 810 057 for all property information. 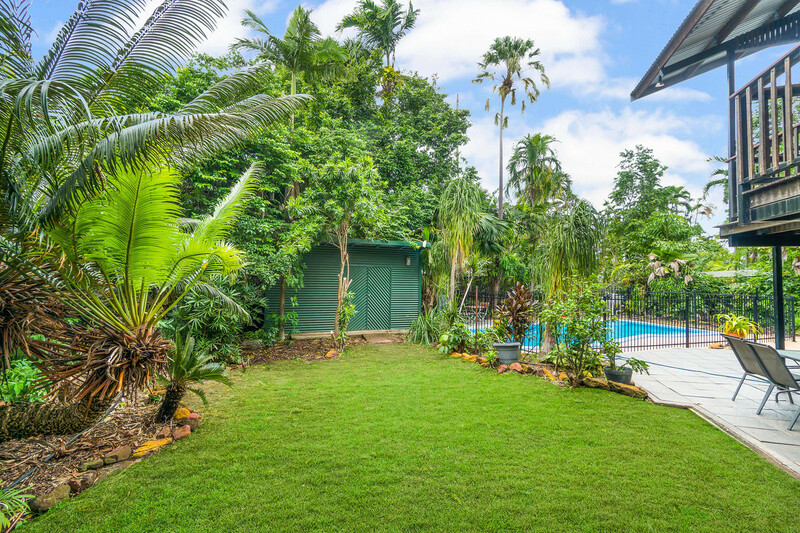 This is tropical living at its best !! 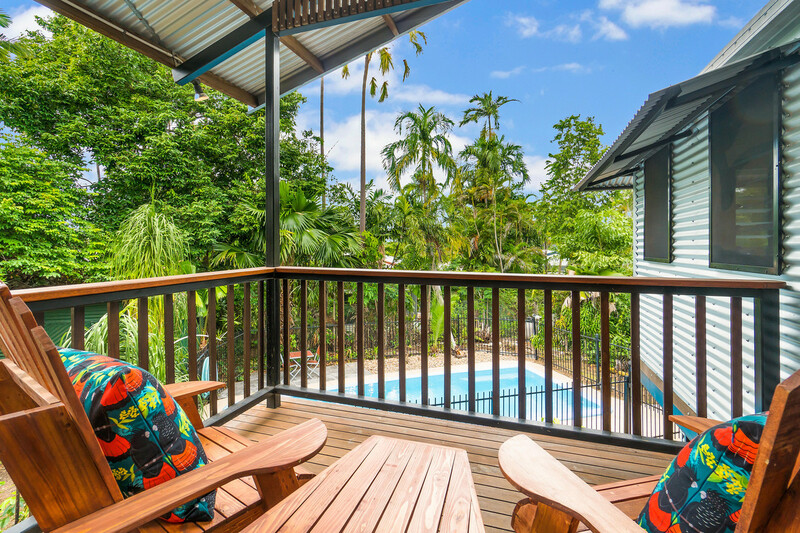 This elevated home has been superbly renovated throughout and features open plan living flowing onto a huge outdoor balcony for all year enjoyment. 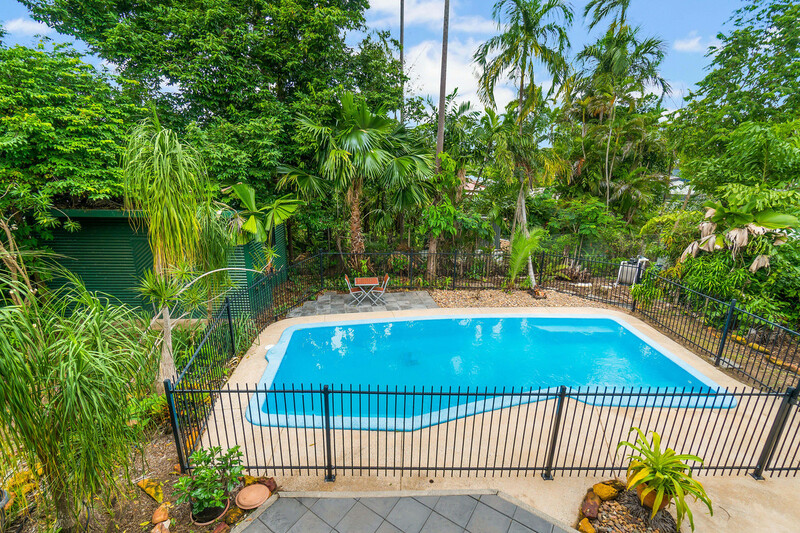 There is also a private one-bedroom ground floor apartment provides flexible living options a gorgeous pool all surrounded by lush established gardens that create peace and privacy. 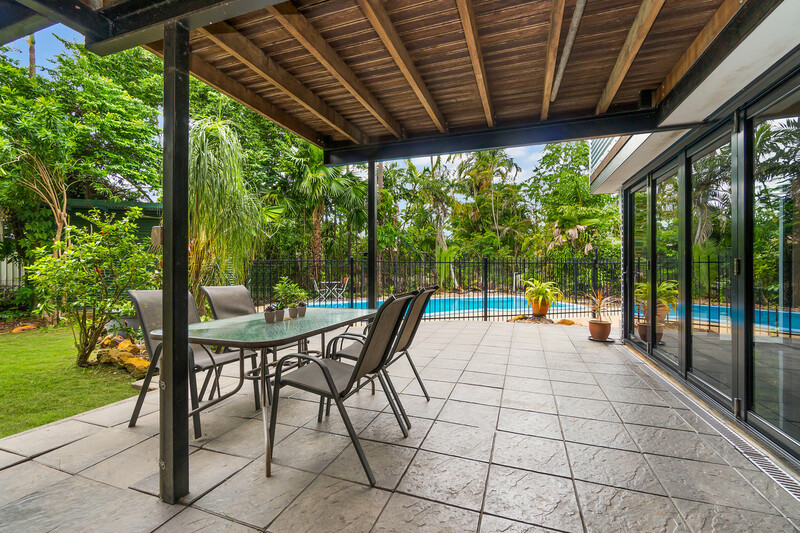 The fabulous residence is ideally set in a private cul-de-sac and is not one to be missed. 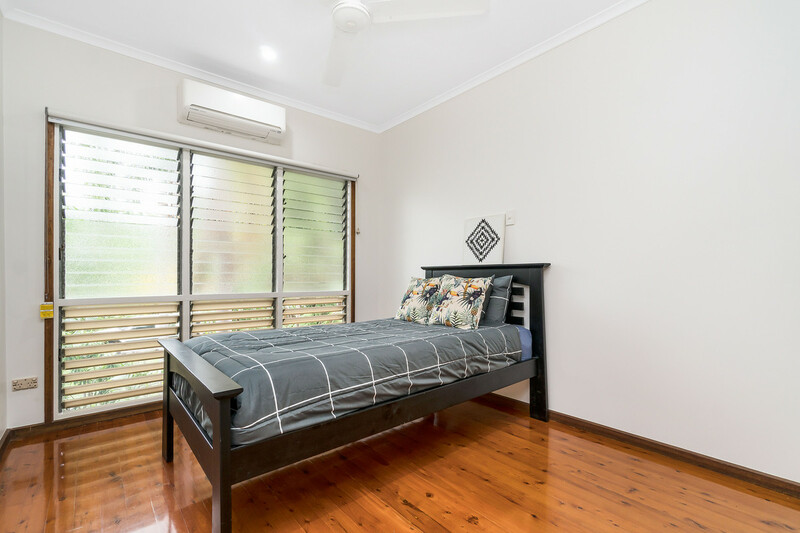 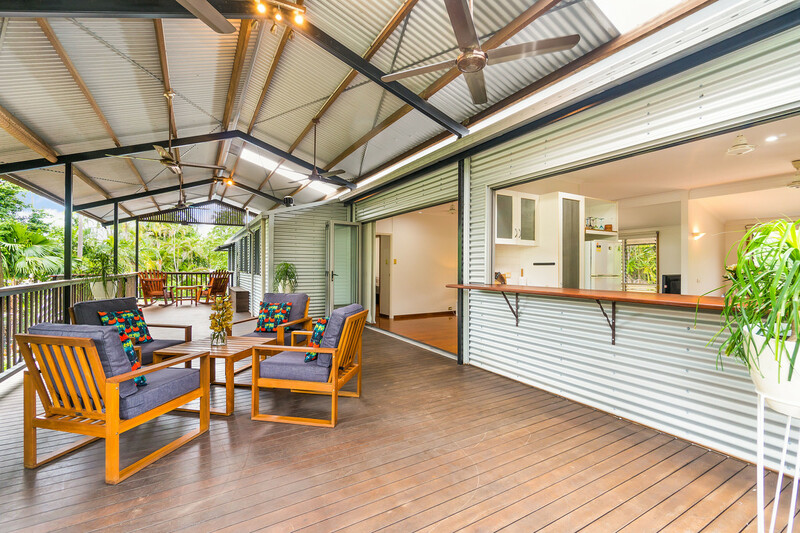 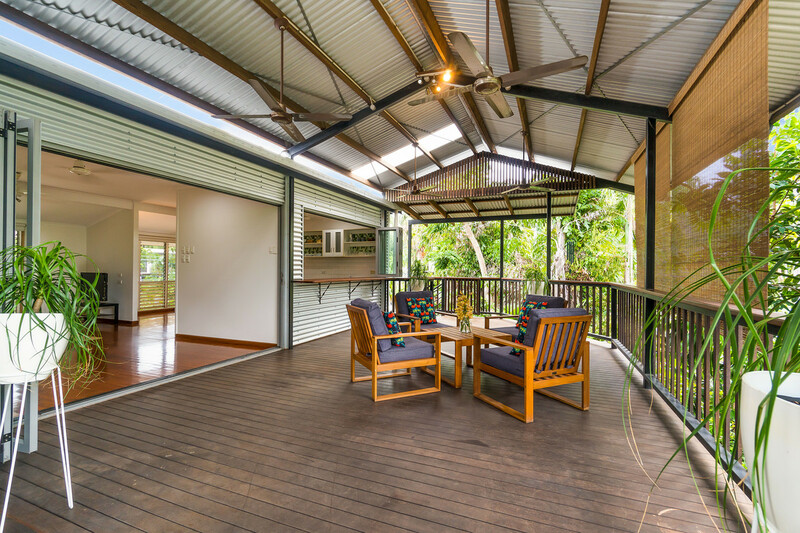 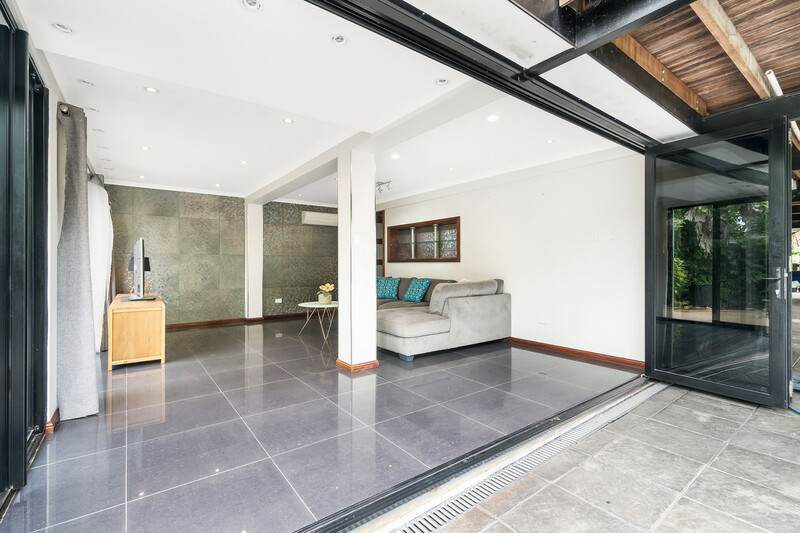 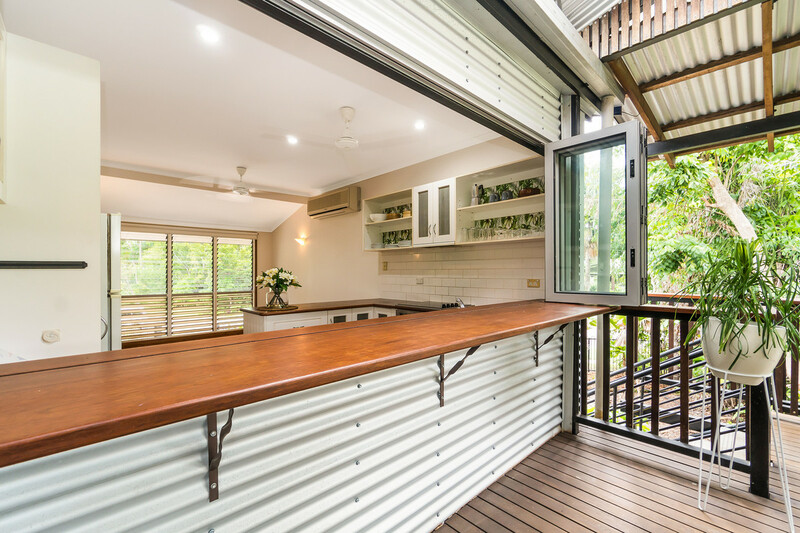 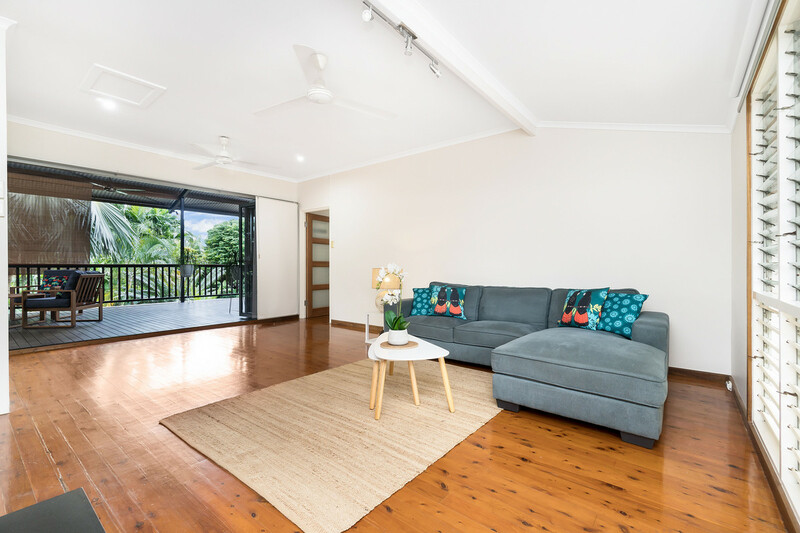 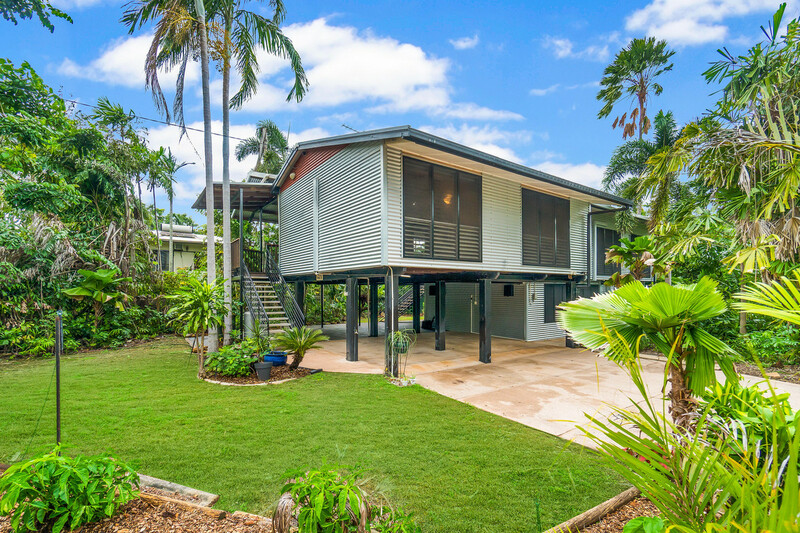 Immaculate polished timber floors star in the spacious upstairs living/dining area where bi-fold doors open to the large deck to seamlessly blend interior and alfresco spaces for a genuine tropical lifestyle. 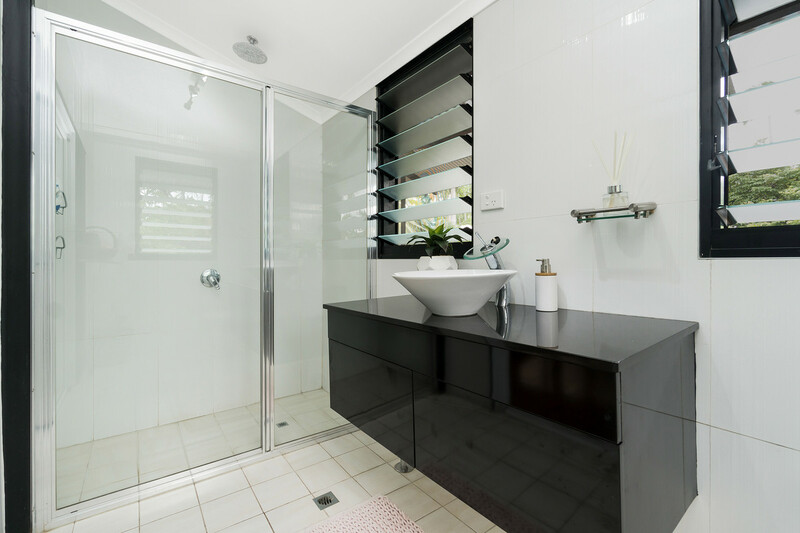 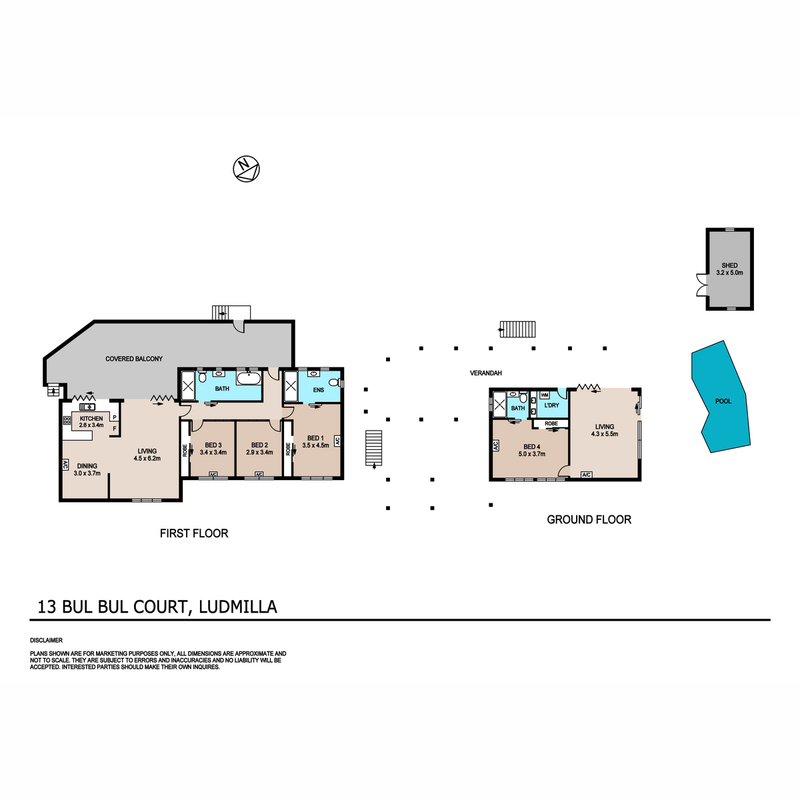 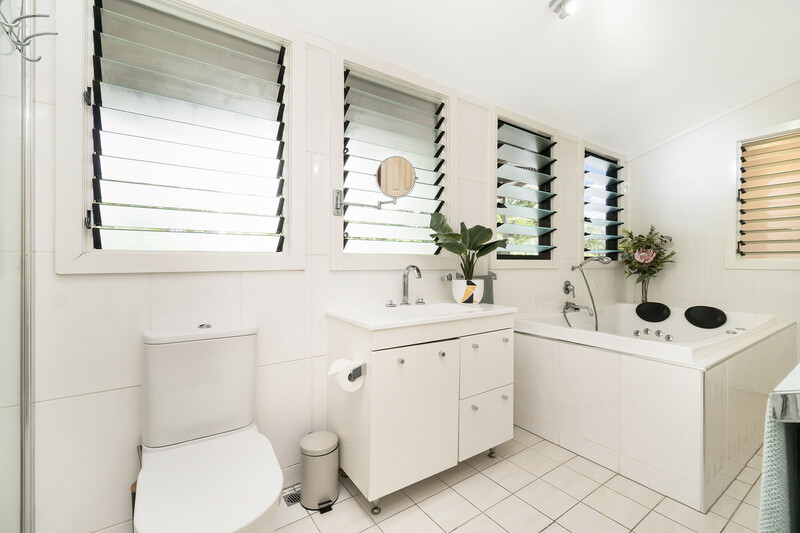 The renovated modern kitchen features a large bi-fold servery bar to the impressive deck to create a relaxed resort-style feel, and the quality continues in the upstairs main bathroom that features a luxurious two-person spa bath plus separate shower. 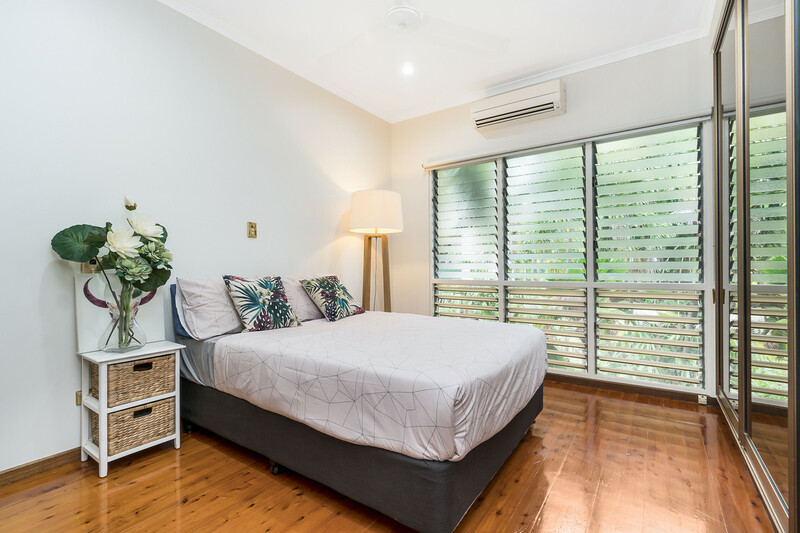 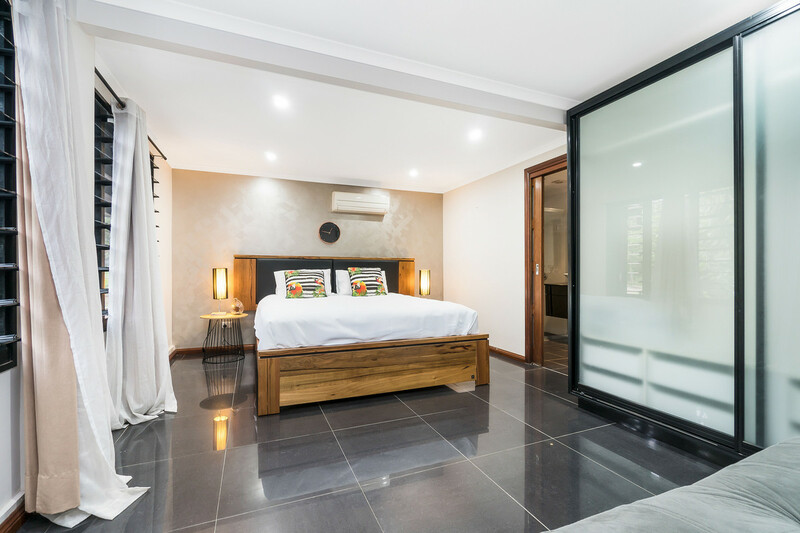 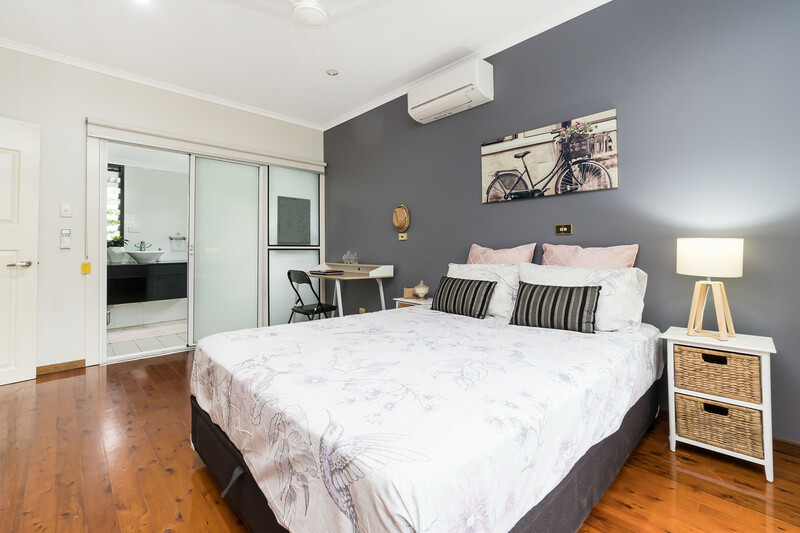 All three generous upstairs bedrooms feature built-in robes and polished timber floors, and there’s an ensuite to the master bedroom that is privately set at the end of the hall. 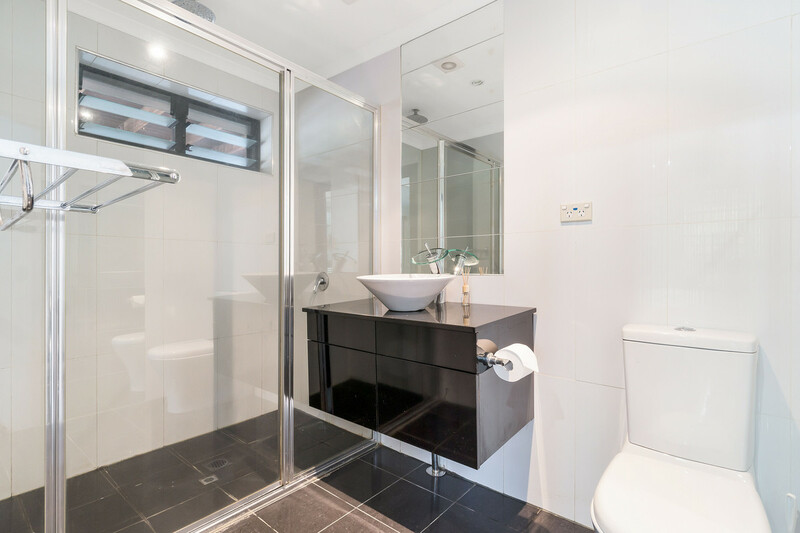 A stylish tiled ground-floor apartment with an open-plan living/dining area, separate bedroom and ensuite has also been renovated and provides private designer living to suit the older teen, in-laws or a houseguest. 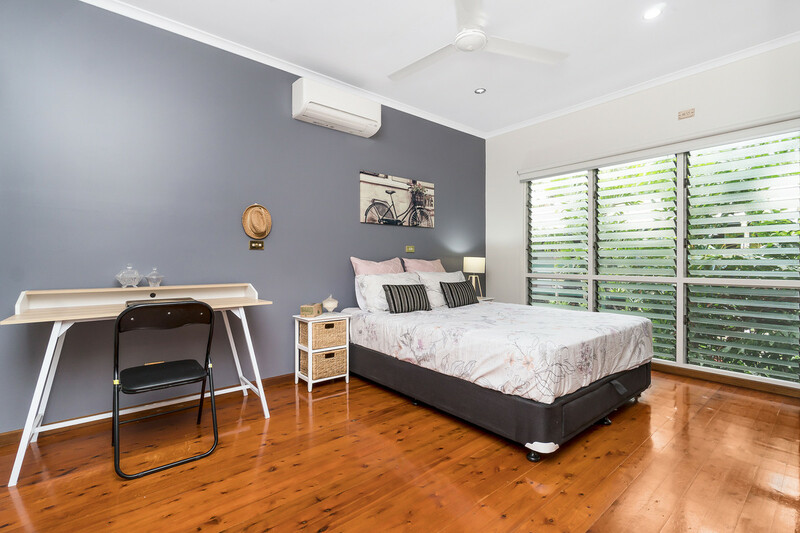 Split-system air conditioning throughout ensures your year-round comfort, and there is ample off-street parking with plenty of space for your boat, caravan or trailer. 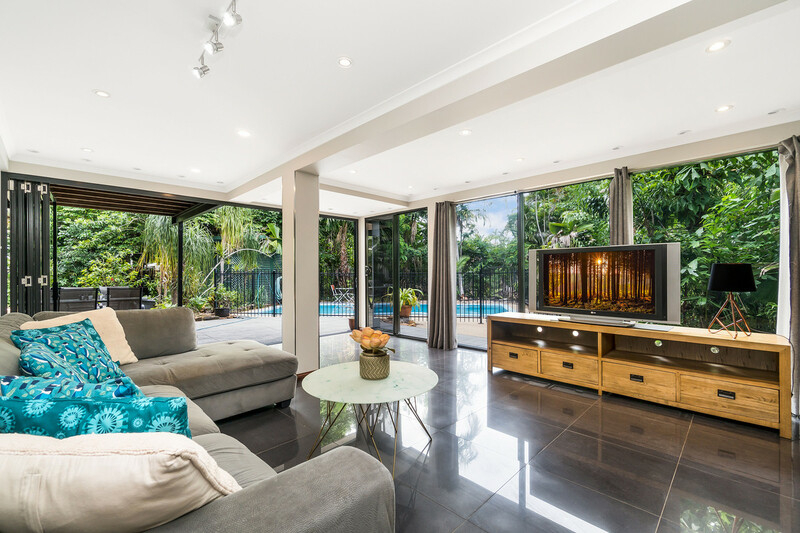 See this fabulous home in person to truly appreciate its superior quality and stunning private garden setting.